As a 30-year truck guy, I’ve long appreciated the utility provided by six or more feet of real estate behind the cab. 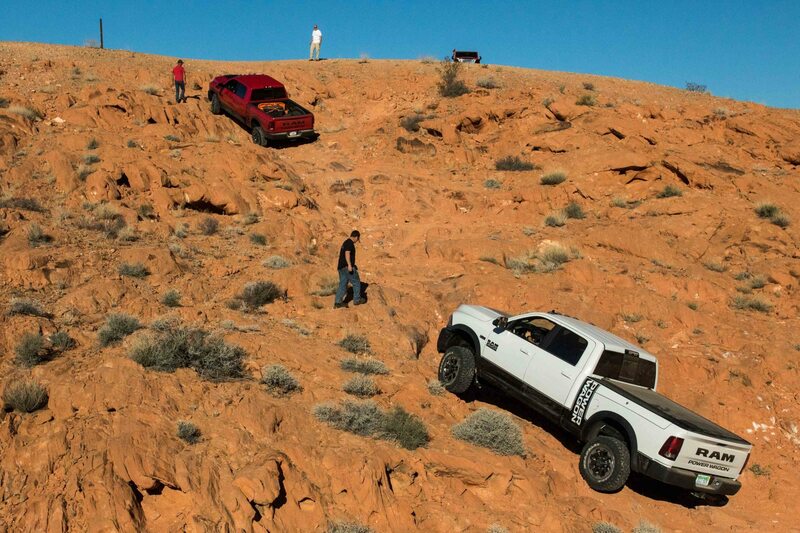 To avoid being left at the trailhead or stuck in a snow bank, my trucks have also always been four-wheel drive. These two attributes afford me the luxury (and reduced expense) of have a single vehicle to accomplish multiple tasks. 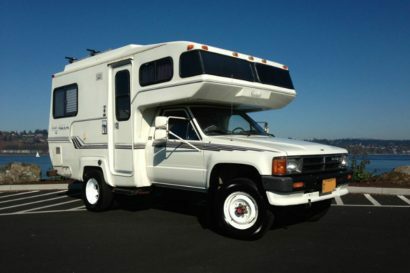 Whether I’m hauling a load to the dump, heading to the desert with a dirt bike, towing my sailboat, or want the creature comforts of a slide-in camper, the 4WD pickup is the jack-of-all-trades. 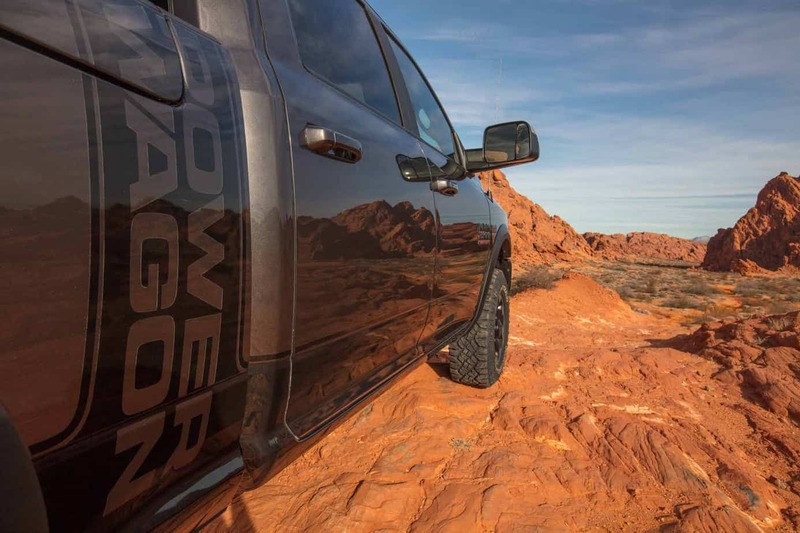 When I received an invitation to preview the 2017 Ram Power Wagon during a multi-day romp through the red rock country of southern Nevada, it was not an opportunity to pass up. 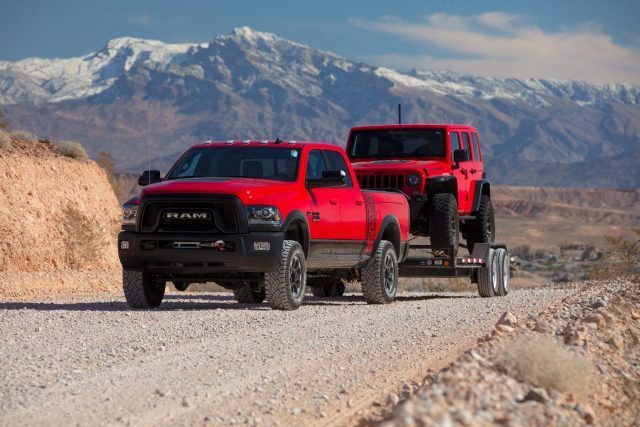 With a history dating back to 1945, the Power Wagon has long been respected as a heavy hauler, solid work truck, and up to just about any task at hand. What most people don’t know, however, is how capable the latest variant is on the trial. 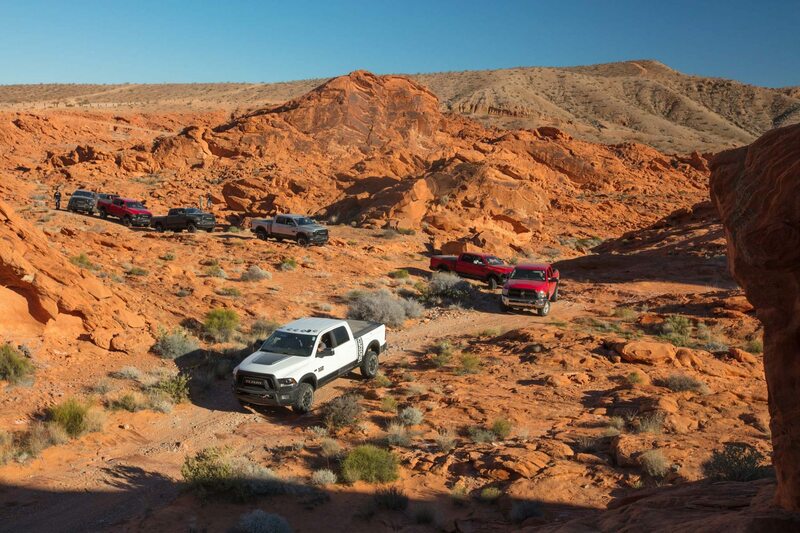 After towing an 8,950-pound Jeep/trailer through city streets and over mountain passes, which it did with ease, we pulled into the Moapa OHV area near Valley of Fire State Park. 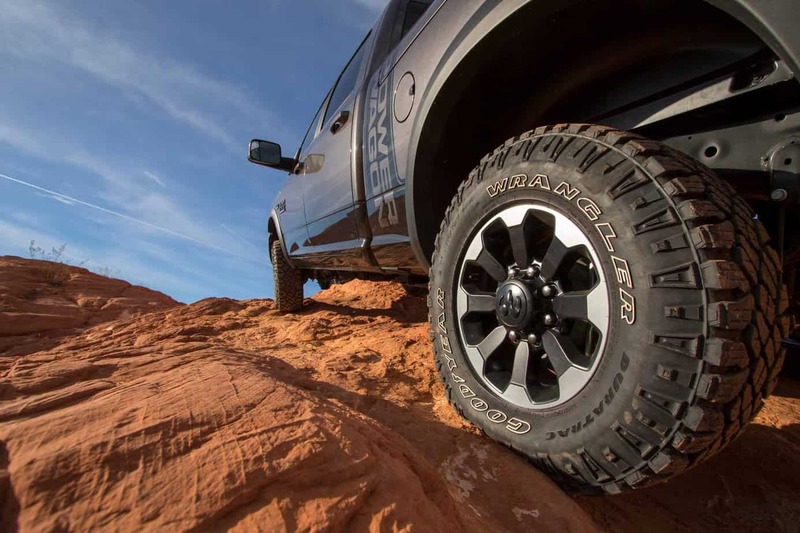 After disconnecting the trailer and offloading its cargo (2016 Jeep Wrangler JK), we aired the Ram’s 33-inch Goodyear DuraTrac tires down to 30 psi and shifted the transfer case lever into four-wheel drive (no push-buttons here). 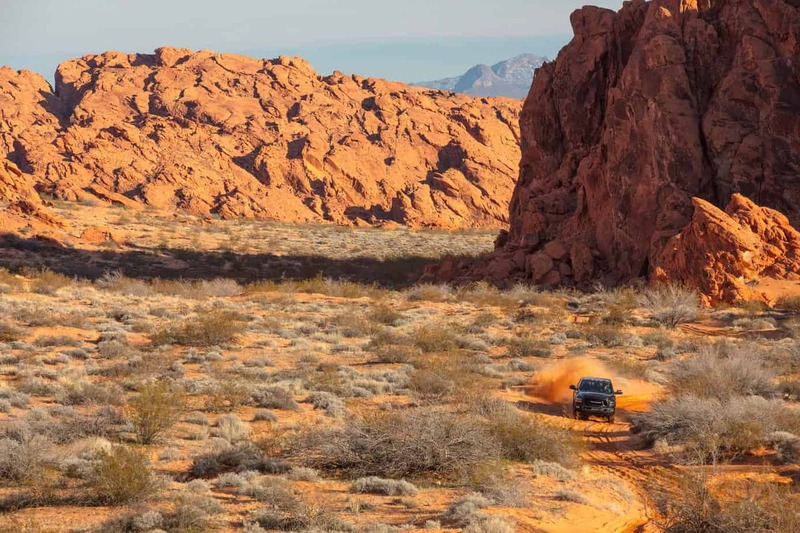 The Moapa area is reminiscent of Moab, Utah, and offers a plethora of terrain options: sand dunes, high-speed two-tracks, and technical rock crawling. 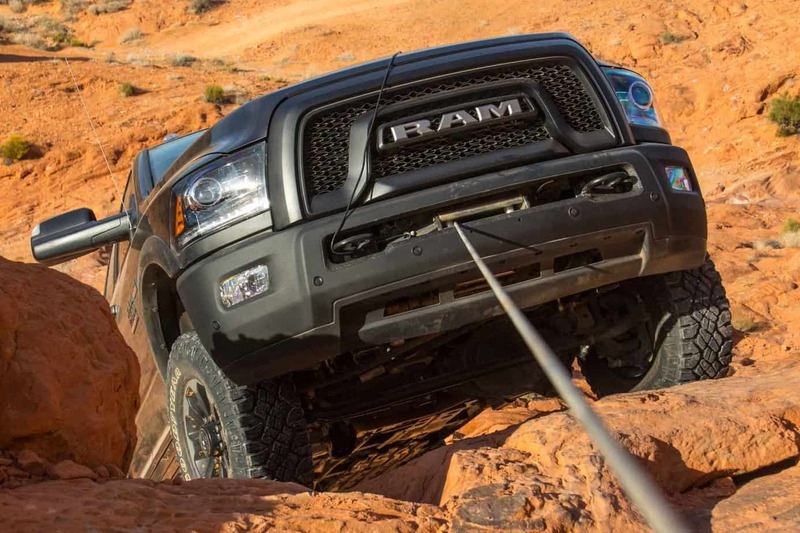 Something oft overlooked in a full-size truck is versatility—the ability to transition from being a rigid heavy hauler to flexible trail tamer. 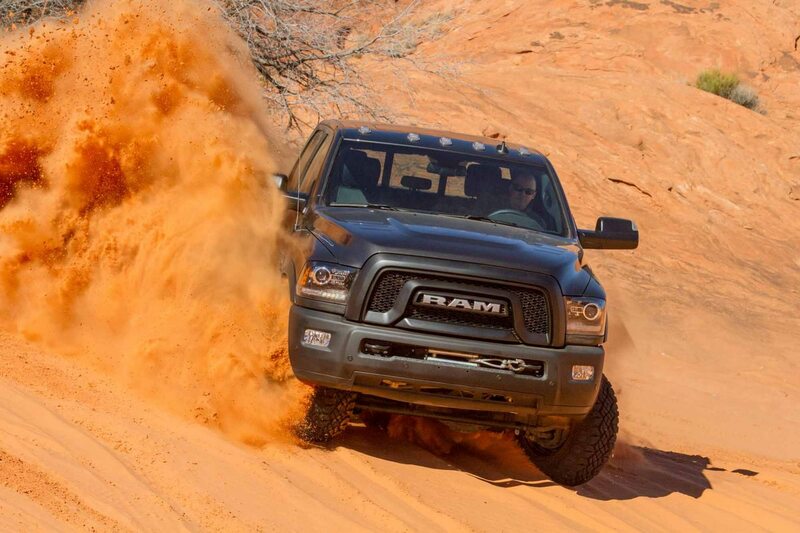 Although the Power Wagon’s 6.4-liter HEMI V-8 generates 410 horsepower and 429 lb-ft torque, enough to propel the truck over moderately sized dunes with ease, technical terrain requires the ability to keep all tires on terra firma and turning in unison. 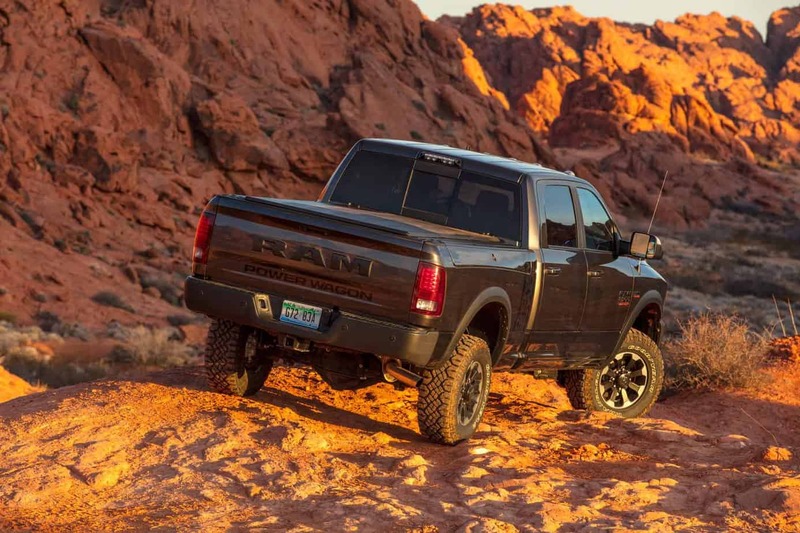 Its coil spring suspension consists of Ram’s Articulink front and a five-link rear configuration, and activating the electronically controlled sway bar disconnect allows the driver to take full advantage of 26 inches of available wheel travel. 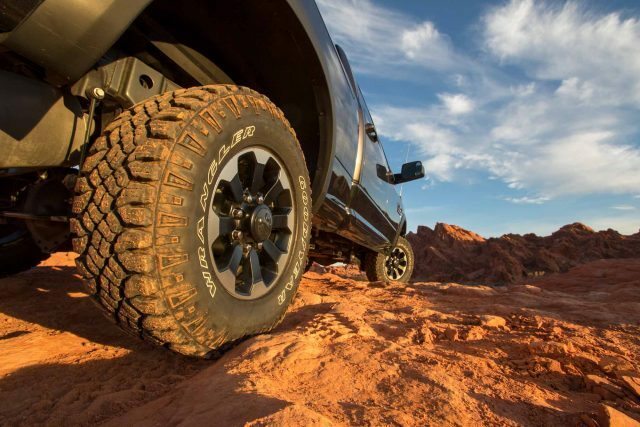 If a tire does lift, engaging the front and rear locking differentials, actuated by easy-to-reach buttons on the dash, will ensure steady progress. 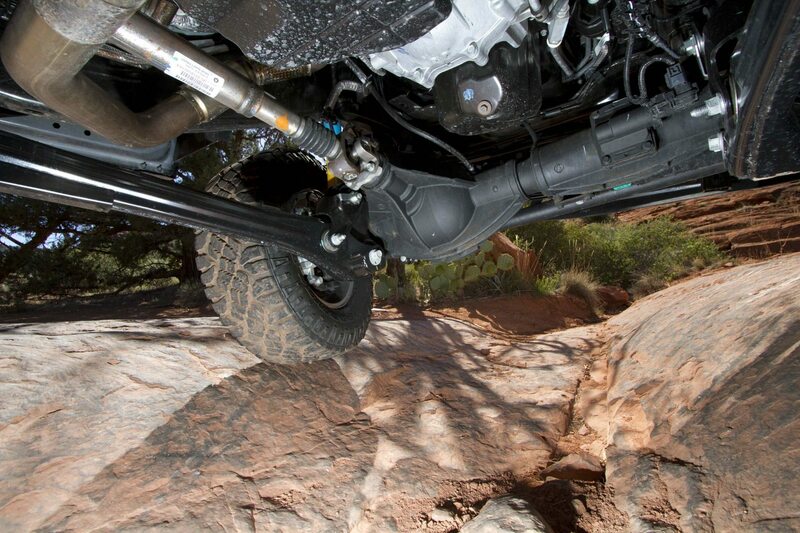 At each corner, Bilstein gas shocks, tuned specifically for the vehicle’s size and weight, manage damping. 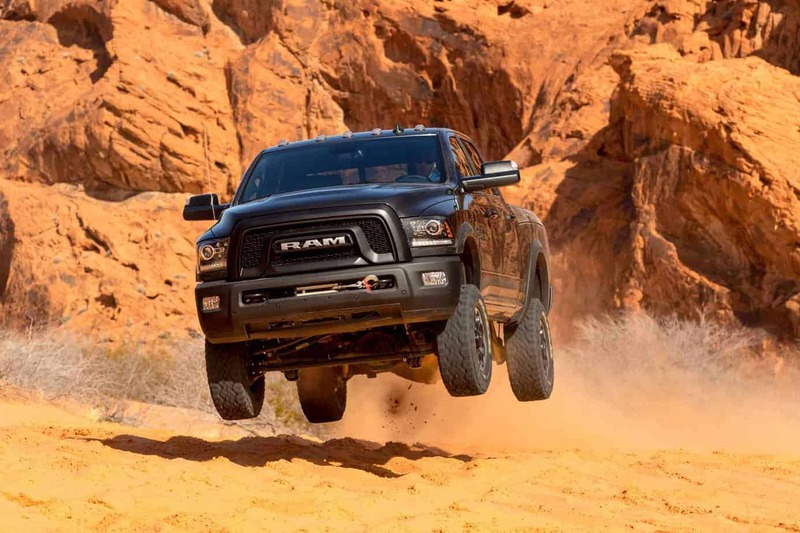 The suspension combination raises the vehicle about 2.5 inches over the standard Ram 2500, for a respectable 14.2 inches of running ground clearance (8.3 at the differentials). 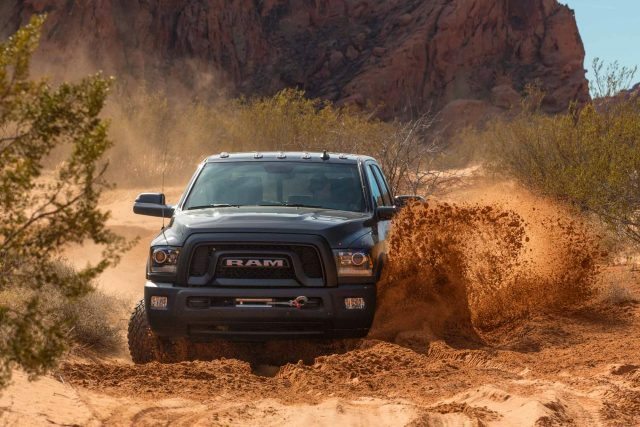 At the end of the day, the Power Wagon boasts an RTI (ramp travel index) of 510 on a 20-degree ramp and true four-wheel drive traction. 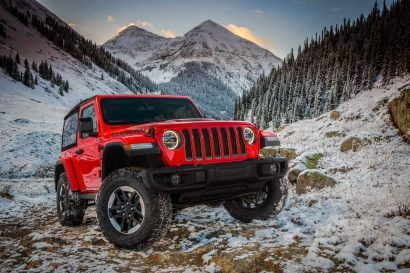 Although it might not keep up with a Wrangler Rubicon, it’s pretty darn impressive for a rig that can also tow the JK to the trailhead. Peeking underneath reveals a full complement of underbody protection, which will handle light contact with interloping obstacles. However, if you plan on regular use on serious terrain I’d consider sourcing or fabricating ¼-inch skid plates for vulnerable components. 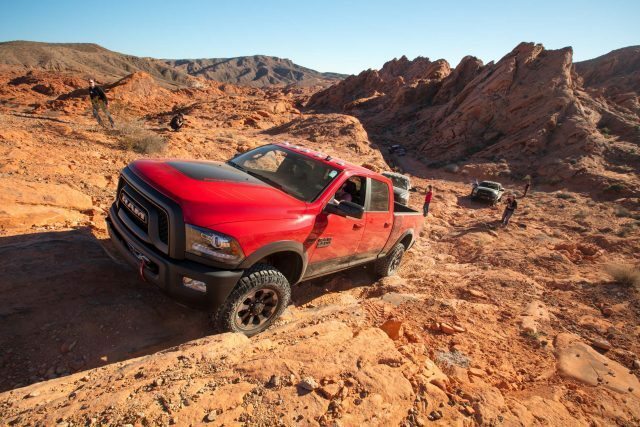 From behind the wheel, driver ergonomics are fitting for a full-size truck. Controls are at arm’s reach; the seats are comfortable and hug your backside as they should. The center console provides plenty of room for maps and personal items, and there are power points for charging phones. I will say that there is a lot of real estate between driver and bumper, as well as behind the cab. 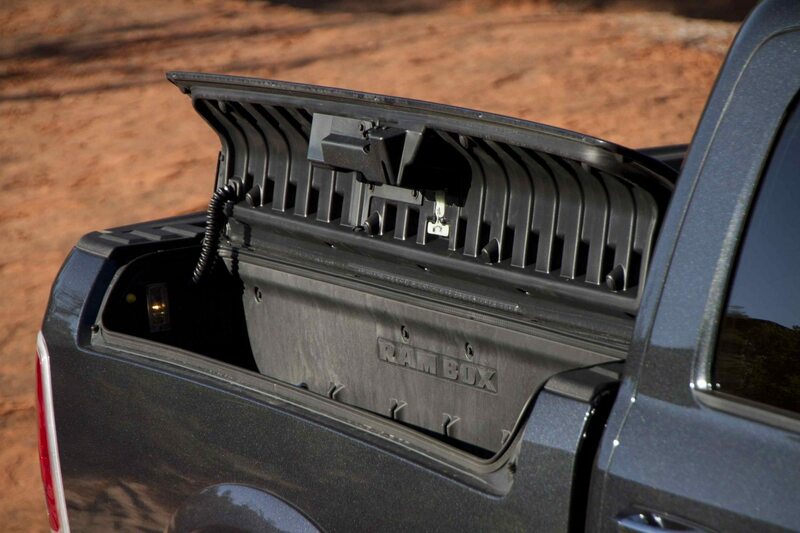 I found the tailgate-mounted backup camera invaluable when backing on the trail. 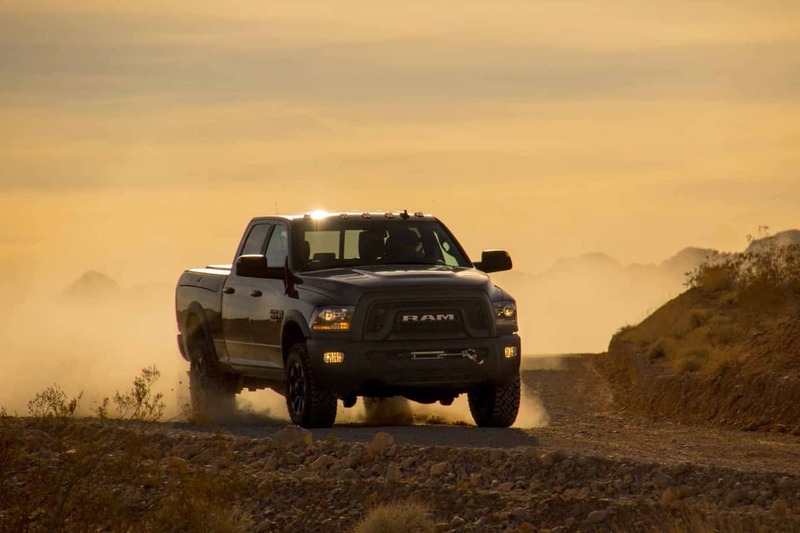 Other mindful bits of standard equipment and optional equipment includes Ram Boxes on each side of the bed, touch-screen navigation and media center, Uconnect Web WiFi, and all-weather floor mats. 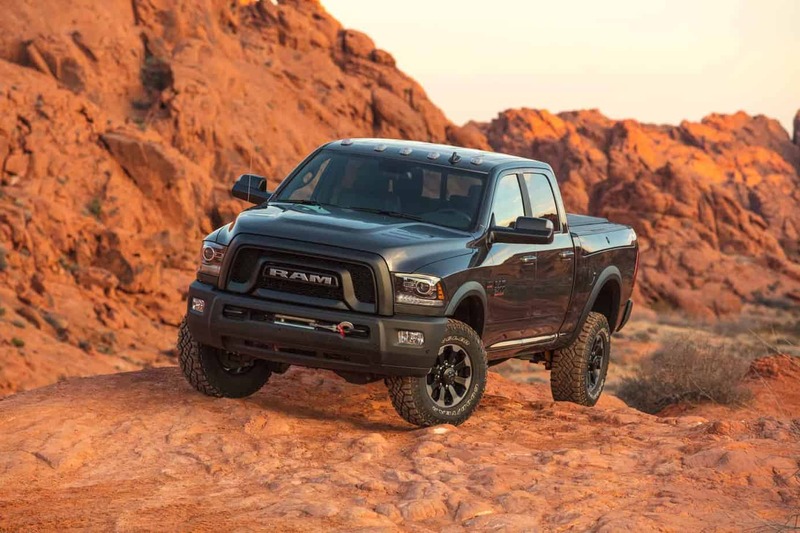 Ram also offers an optional dual-alternator system, which replaces the standard 180-amp alternator with 160- and 220-amp units—redundancy is never a bad thing in the backcountry. 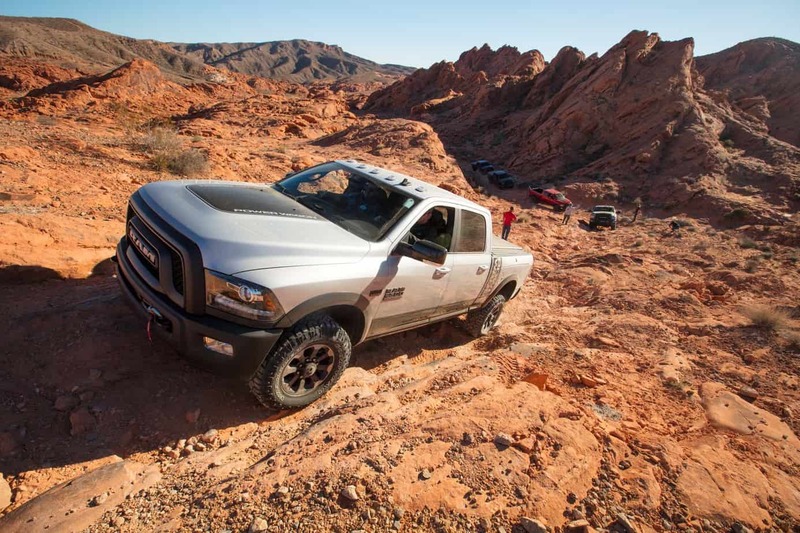 We had a chance to put the Power Wagon through the paces on several steep, loose hill climbs, where the aforementioned systems did an admirable job. 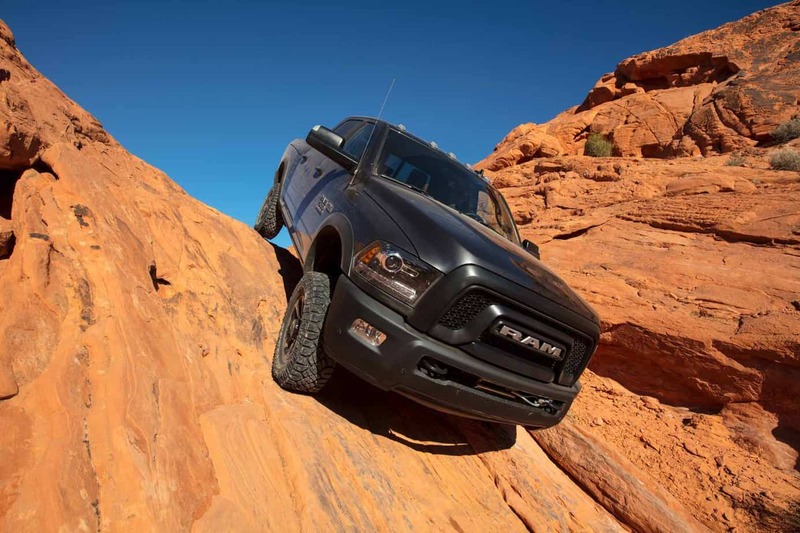 On precipitous gravelly downhill sections, activating the hill descent control system kept speeds below 2 mph without riding the brakes or relying on compression braking. 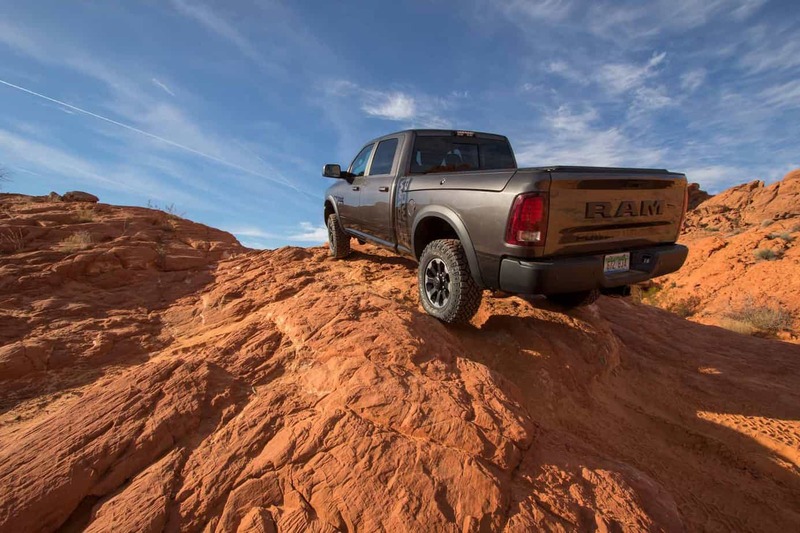 In technical terrain, the combination of locking differentials and ample wheel travel allowed the 7,000-lb Ram to tackle cross-axle sections and ascend steep inclines without spinning a tire—I’ll note that Ram is one of the few manufactures I’ve been out with that understands the traction benefits of reducing tire pressure. 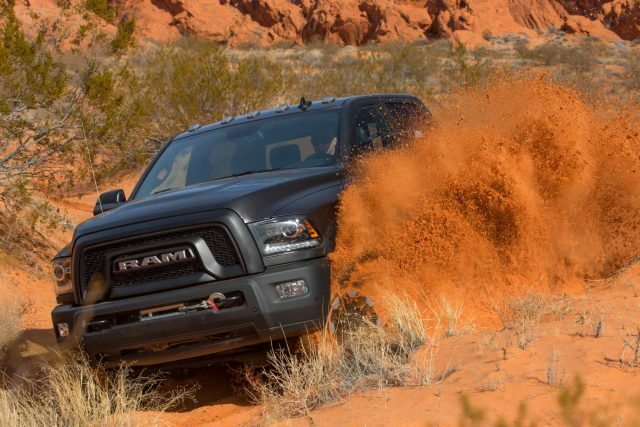 We also, as you note in the images, had a good romp through the sand dunes. Midday, Nena Barlow (of Barlow Adventures fame) showed up and promptly flipped her exo-cage Toyota 4Runner on its lid. 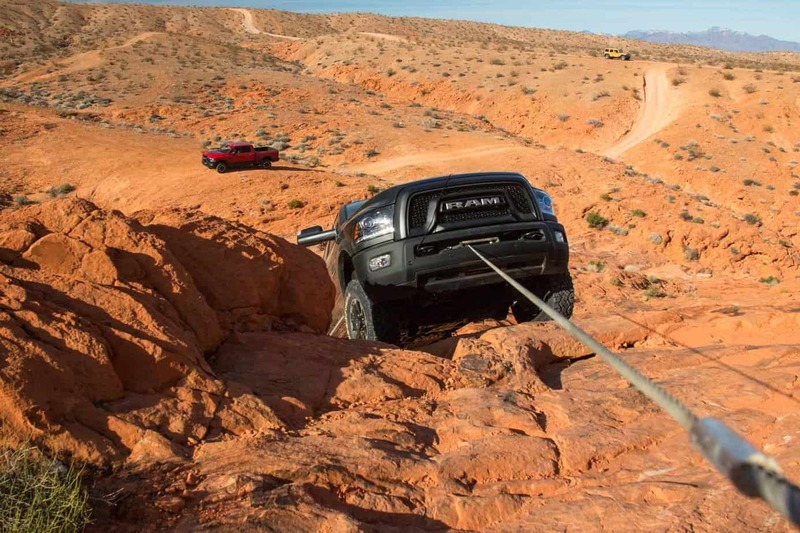 This was a good opportunity to unspool the Power Wagon’s 12,000-pound Warn winch and set the vehicle rubber-side down again. 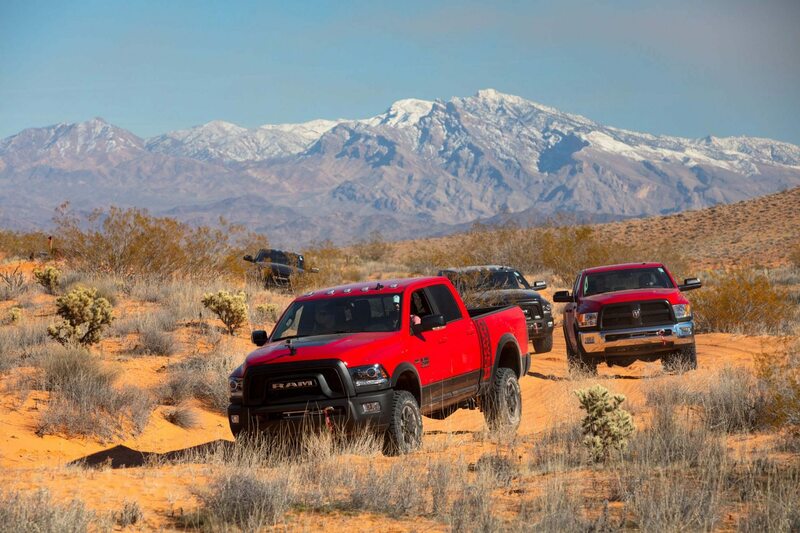 Amidst all this praise, I do need to mention the Power Wagon would benefit from a diesel option. 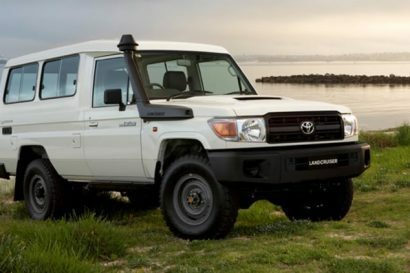 This would provide nearly as much horsepower, more than twice the torque, and better fuel economy (it was a thirsty beast when towing). 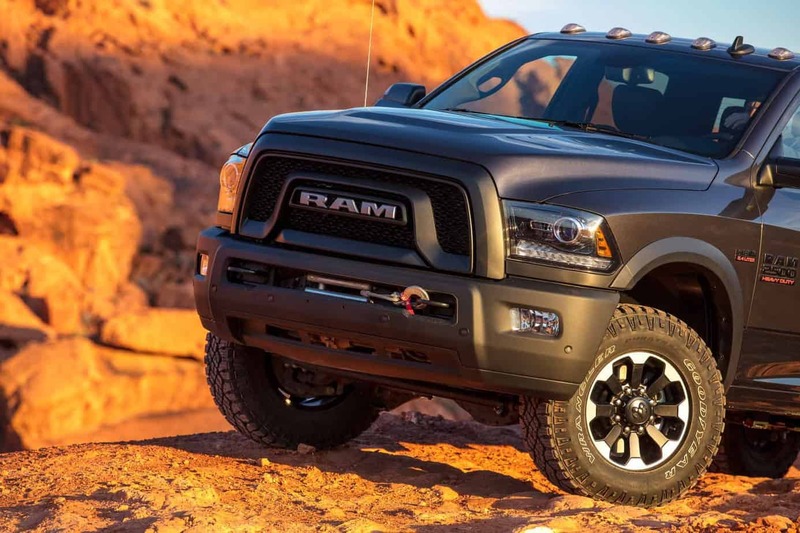 I’m guessing that Ram will eventually swap the 66RFE 6-speed automatic for something similar to the TorqueFlite 8-speed they run in other models. This would greatly reduce rpm and improve economy during no-load highway cruising. 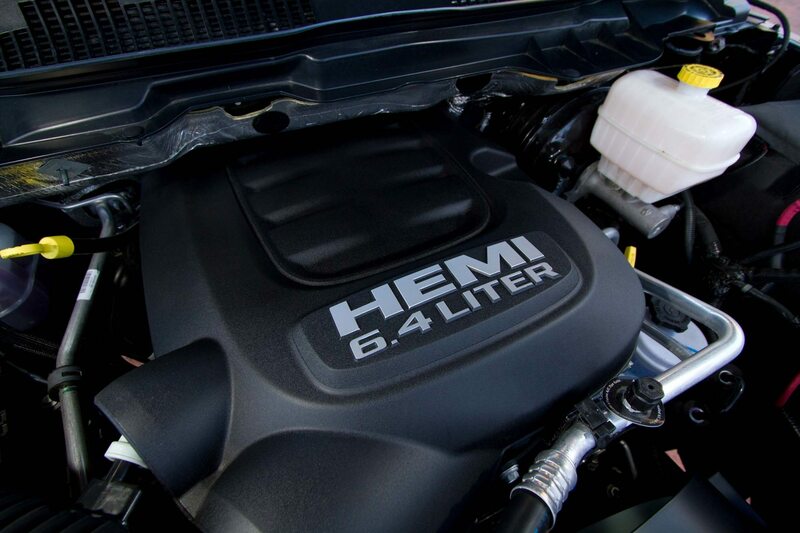 Running ground clearance: 14.3 inches (8.3 in. at differential).